There’s no better way to show your other half you care than by greeting them with breakfast in bed. But not just any breakfast in bed. 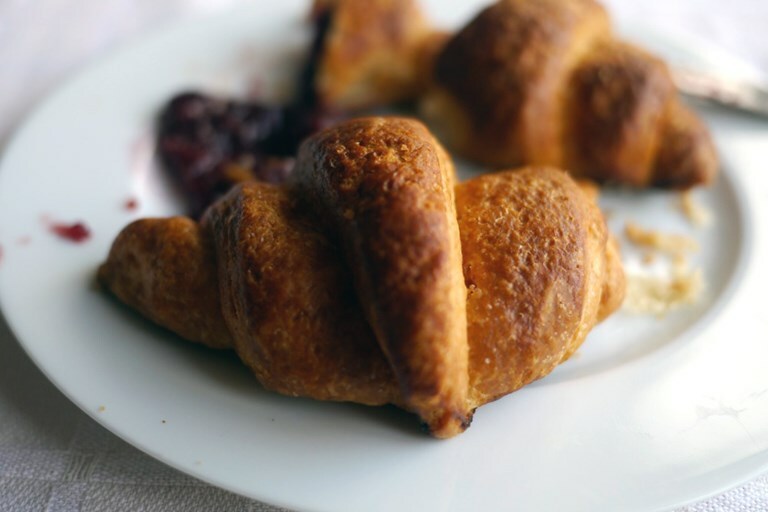 Leave the porridge and marmite on toast for the other 364 days of the year and go French for your chéri with homemade croissants. Preparing the dough the night before only leaves a couple of hours of resting and rising on the day of baking, meaning you'll even have time for a little lie in yourself. No man, woman or fish can fail to get excited by the crisp flakiness of the outside and the tender, buttery middle of a croissant. Straight from the oven with a spoonful of jam and a pot of coffee (we’re being French, remember), this will make even the least romantic heart flutter. It’s not just the croissant itself, but the effort you have gone to. That, to me, is real romance. You can whack a dozen red roses on the credit card in a flash, but setting the time aside to make something special for someone extra special will score you more brownie points than even the biggest gaggle of Girl Guides could muster. 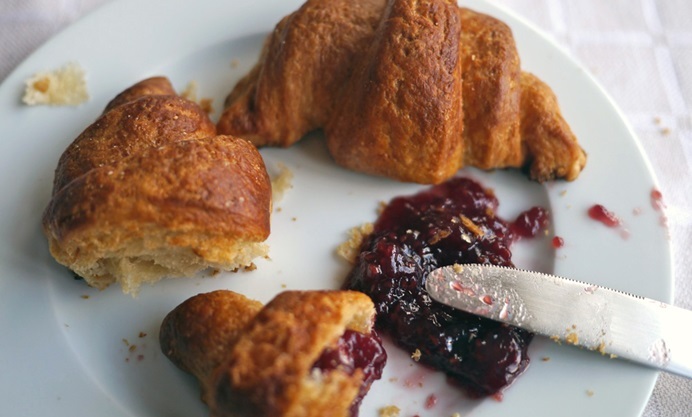 If you’re intimidated by the prospect of making laminated dough, then this weekend is the perfect time to (wo)man up and overcome your pastry fears. It may sound like a bake too complicated to attempt, but let me put your mind at rest. The only thing remotely complicated about croissant dough, is rolling and folding it. What’s that you say? Folding’s easy? Well, exactly. So, go and make some croissants then. What’s the worst that can happen?